It’s no secret that today’s global brands are facing a multitude of challenges driven by the transforming digital landscape. End-users are consuming enterprise applications across a myriad of channels and devices, and this burden is only compounded by the ever-growing expectations for seamless, always-on user experiences. In order to gain control over application delivery, proactive digital monitoring has become a business requirement for all digital organizations, helping to ensure that high-performing application delivery translates to exceptional customer experiences, increased brand loyalty and revenue growth. 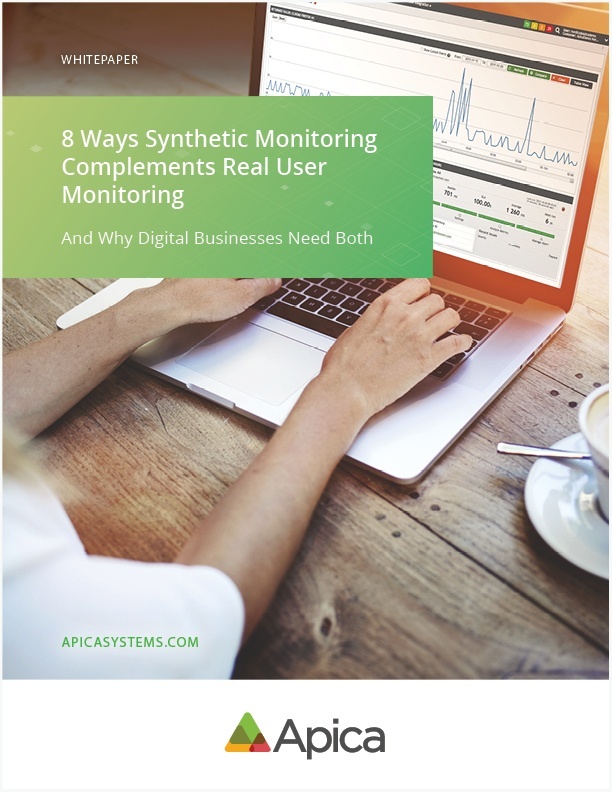 In this whitepaper, 8 Ways Synthetic Monitoring Complements Real User Monitoring, we explore how synthetic and RUM compare, and how they can be used together to improve application reliability and increase customer satisfaction.